Philip, born about 1799, obtained a certificate of freedom in Frederick County on 8 March 1815: a dark mulatto boy, aged about sixteen years and seven month sold, about five feet two inches high … is free born as appears by an affidavit of Mary Wandle [Certificates of Freedom 1806-27, 36, 48]. Three other children were born in Tennessee and the Younger family found its way to College Hill where, in the 1850 census, Phillip and Mary and their children are living in College Hill and he was employed as a “Sexton.” He must have worked at the Farmers’ College Chapel since it was the only church in Pleasant Hill in 1850. From the census, the Youngers were next to the Farmers’ College professor Rev. Dr. Robert Bishop who preached regularly in the chapel. Phillip’s work would have brought him into contact with the many sons of abolitionists who studied at the Cary Academy and Farmers’ College such as James G. Birney, William Beard, John Van Zandt and many from the Indiana Yearly Meeting of Anti-Slavery Friends. That means that he would also have had contact with the sons of slaveholders who were also students at Farmers’ College. 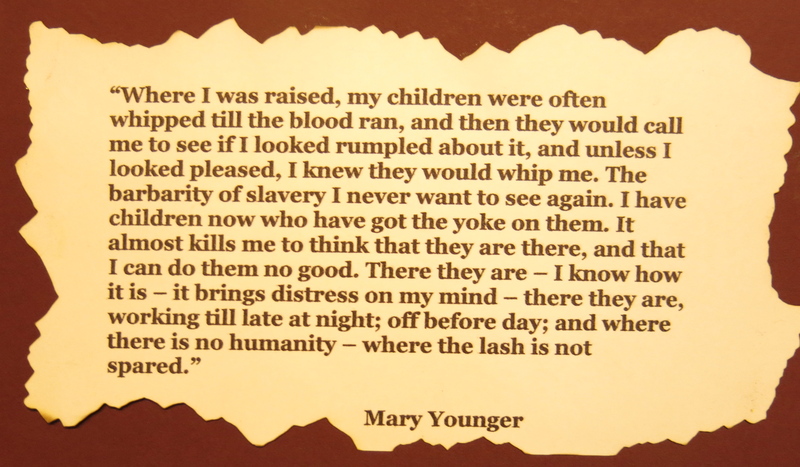 Harriet Wilson’s letter reveals that the “janitor’s wife” (Mary Younger, the wife of the Farmers’ College Sexton) had no Certificate of Freedom and after the 1850 Fugitive Slave act, no longer felt safe in College Hill. 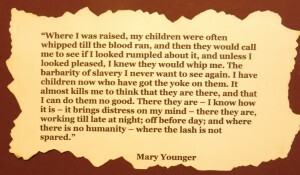 Mary Younger, born Va., age 50. Rebecca, age 24, born Va.
Thomas, age 5, born Tn. William, age 7, born Tn. 1861 Canadian Census in Chatham, Kent Co. They were very involved in the work of the Underground Railroad in College Hill and then used the railroad themselves to find their way to Ontario where they started a new life in Chatham with their neighbor from College Hill, Henry Blue.